Son of God, isn’t that far-fetched? Assayas: Christ has his rank among the world’s great thinkers. But Son of God, isn’t that far-fetched? Bono: “No, it’s not far=fetched to me. Look, the secular response to the Christ story always goes like this: He was a great prophet, obviously a very interesting guy, had a lot to say along the lines of other great prophets, be they Elijah, Muhammad, Buddha or Confucius. But actually Christ doesn’t allow you that. He doesn’t let you off that hook. Christ says, No. I’m not saying I’m a teacher, don’t call me a teacher. I’m not saying I’m a prophet. 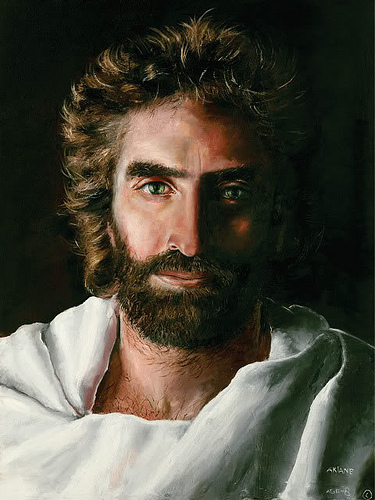 I’m saying: “I’m the Messiah.” I’m saying:”I am God incarnate.” And people say: No, no, please, just be a prophet. A prophet we can take. You’re a bit eccentric. We’ve had John the Baptist eating locusts and wild honey, we can handle that. But don’t mention the “M” word! Because, you know, we’re gonna have to crucify you. And he goes: No, no, I know you’re expecting me to come back with an army and set you free from these creeps, but actually I am the Messiah. At this point, everyone starts staring at their shoes, and says: Oh, my God, he’s gonna keep saying this. Categories: Be Inspired, Soul, Spirit | Tags: Akiane, Bono, Christian, encouragement, Hope, Reason for God, Son of God, Spirit, spirituality, Thoughts, Timothy Keller | Permalink. Love it … classic Bono and well said!!! A lot was said in a few words. The true God demands all or nothing-as it should be. and strangely, He gives so much for demanding so little. The ‘all’ that he demands is his ‘easy’ yoke, and a heart sold out to his trust. Sounds easy enough. And it is, as long as EGO steps aside.